The EURUSD is consolidating and may bounce off 1.1700 today to go further down, to reach 1.1660 first, and then, after breaking it out, the first target at 1.1604. 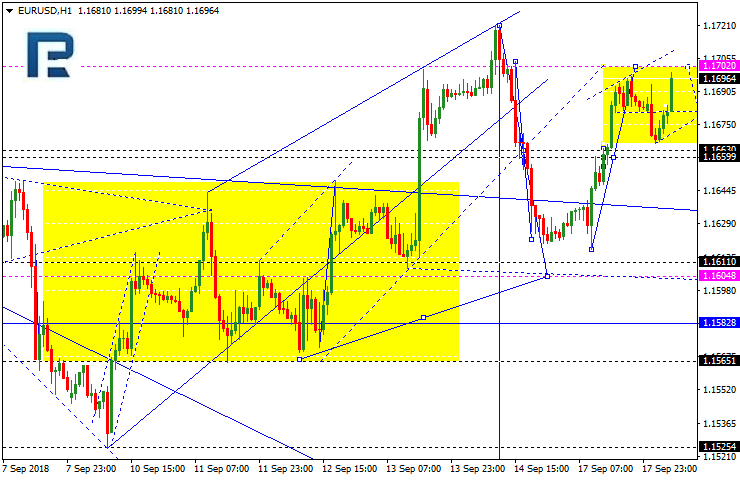 The GBP/USD is still trading higher and may reach 1.3185 today, and then fall till 1.3055. After that, the pair is likely to rise, reaching 1.3111, and then again fall till 1.2922, which is going to be the first target. 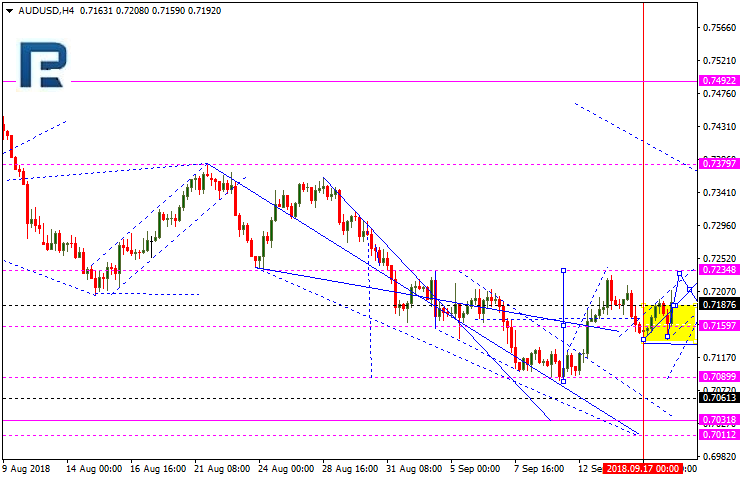 The USDCHF failed to stay above 0.9640. 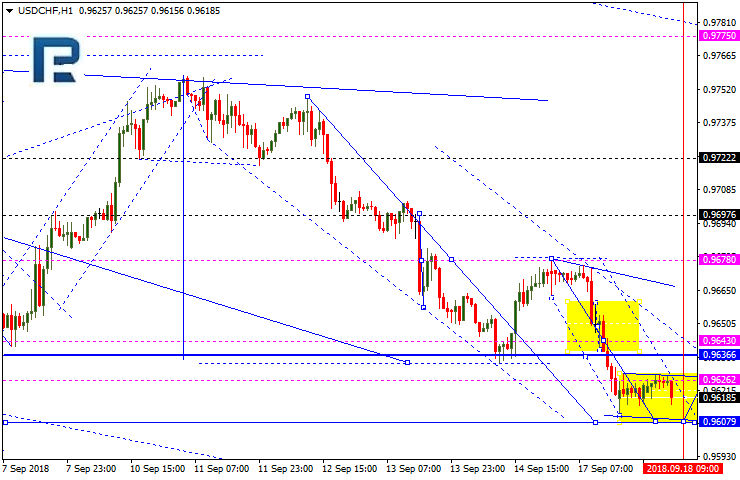 This level got broken out, and the correction may follow till 0.9608, which may be reached today. Conversely, in case the price breaks out the consolidation range and goes up, it may reach 0.9670, which is going to be the first target. 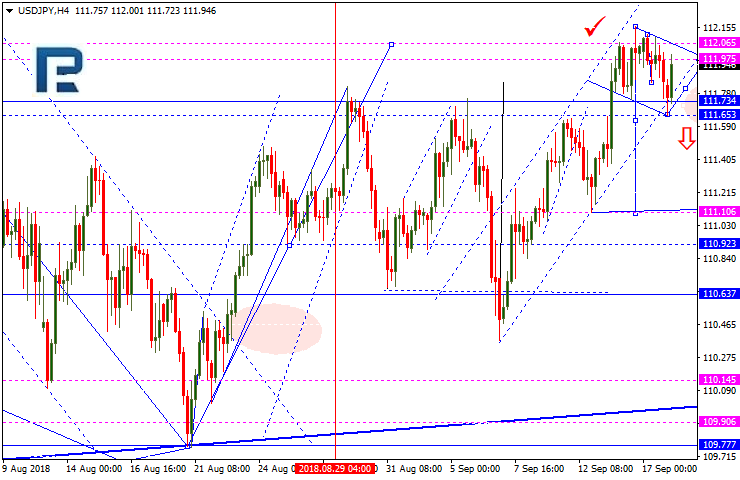 The USDJPY has been downtrending and correcting. 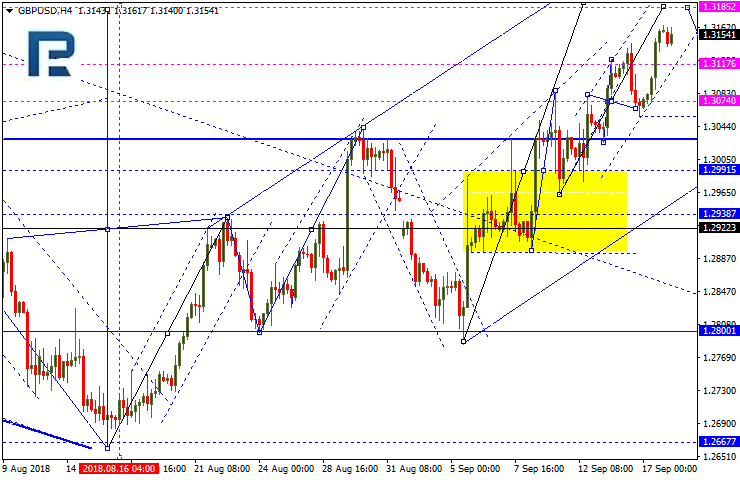 Today, the pair may break out the lower range boundary to reach 111.11, but then is likely to correct to 111.65. After that, the downtrend may continue to 110.15. The Aussie has broken out 0.7187 and is going up, probably to reach 0.7234 (correctional wave 5), and then to fall till 0.7120, which is going to be the first target. The USDRUB is still consolidating around 67.96; If the price goes down, it may reach 67.00; if it goes up, the correction towards 69.00 may follow, and then the pair is likely to head down again, reaching 65.40, which is going to be the first target. 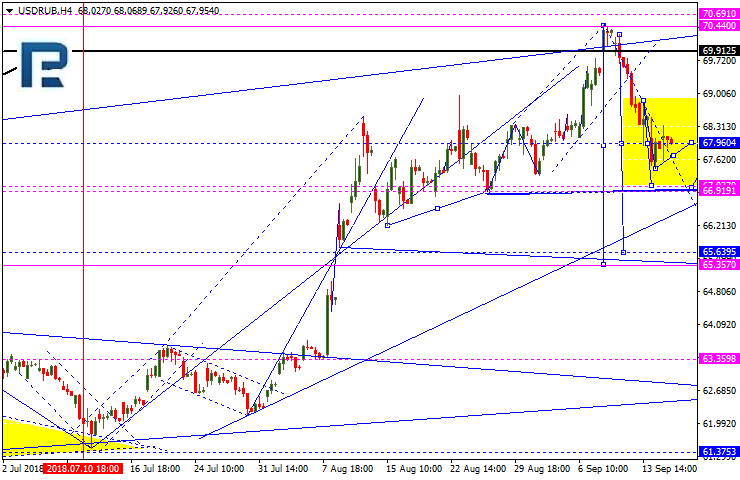 The yellow metal is trading lower, probably entering wave 5 with the target at 1,188.65. A rise to 1,200 is possible, and then the consolidation is likely to continue. 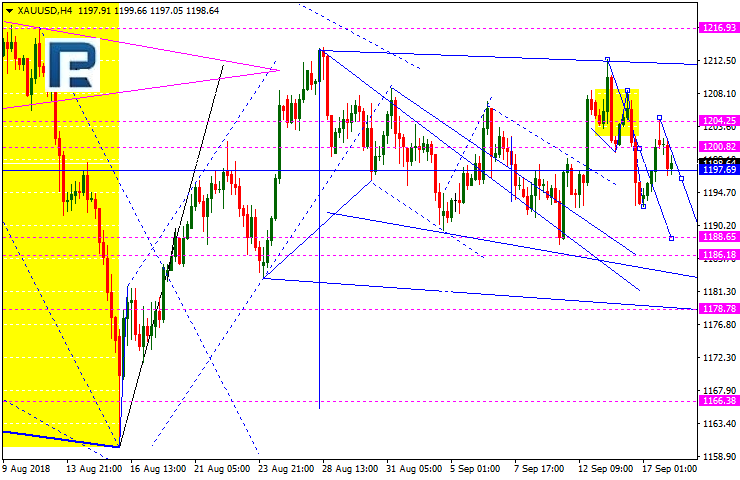 If the price goes down, it may reach 1186.20. 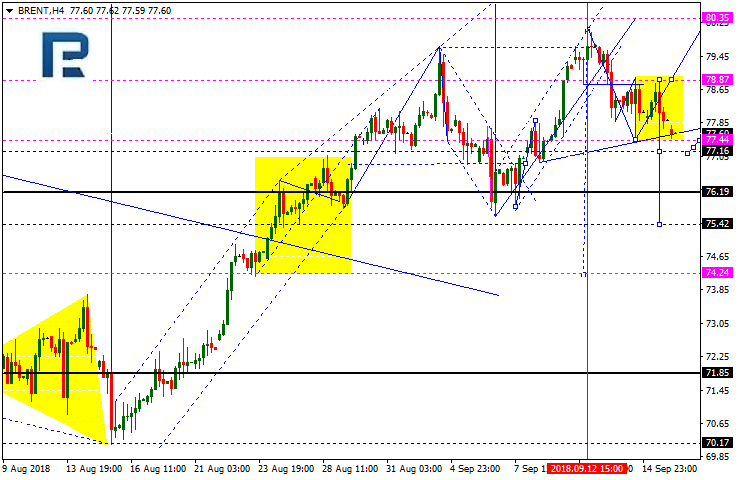 Crude oil is consolidating, too, but once the lower boundary gets broken out, the correction towards 75.50 may follow. If the price goes up, the rise to 80.50, the local target, is possible.